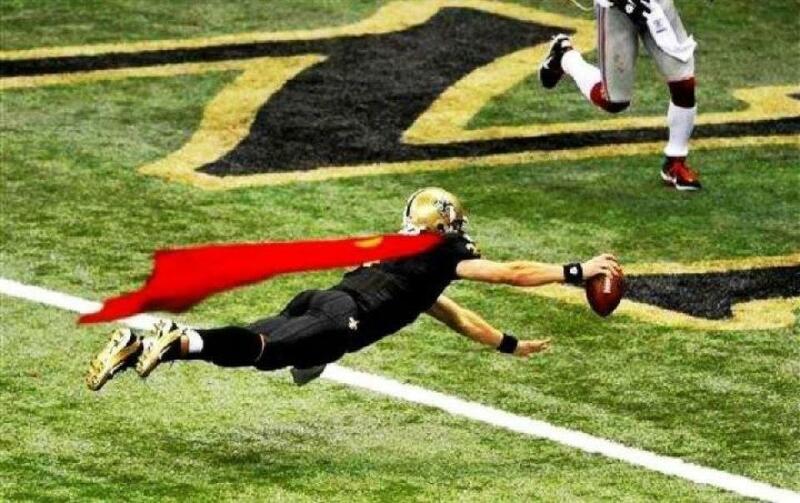 As any self-respecting member of the Who Dat Nation knows, Drew Brees gets his super powers from eating macaroni and cheese before a game. I’m sure he was able to make this dive into the end zone on Monday Night because he followed his well known pre-game carb loading routine. He led the Saints to a 49-24 win over the New York Giants, so there must be something to it! While I won’t directly compete with the Breesy Beefy Mac put out by the Ritz-Carlton’s M Bistro’s Emily Dillport, I do put my version of Breesy Cheesy Bambi Mac forward for your consideration. If you don’t happen to have ground venison, substitute ground beef or turkey. Or, leave out the meat entirely! In a medium Dutch oven over medium heat, melt one tablespoon of butter and cook onion until softened, about four minutes. Add remaining butter. When melted, add flour forming a roux. Cook for 5 to 10 minutes, stirring constantly, to remove the flour taste. Do not allow roux to darken. Stir in Cajun seasoning and mustard. Gradually stir in milk until blended. 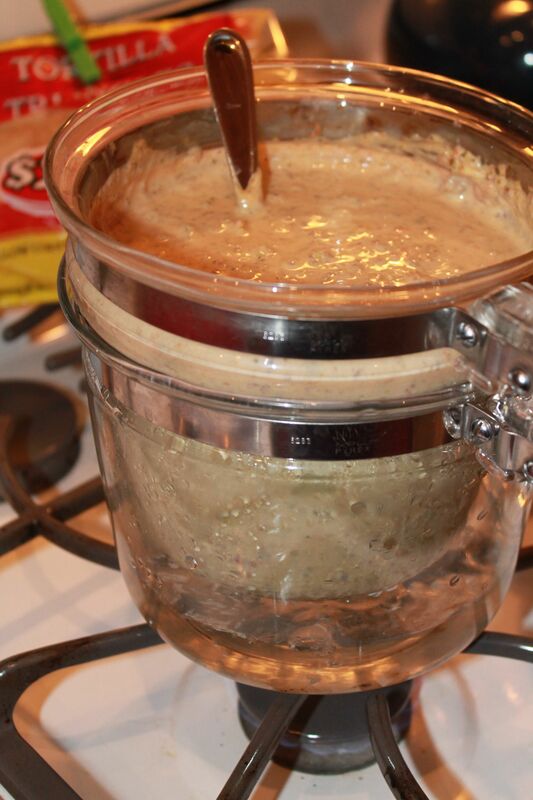 Bring to a boil and cook, stirring constantly, until mixture has thickened, about five minutes. Add cheese in handfuls and stir until melted. Remove from heat. 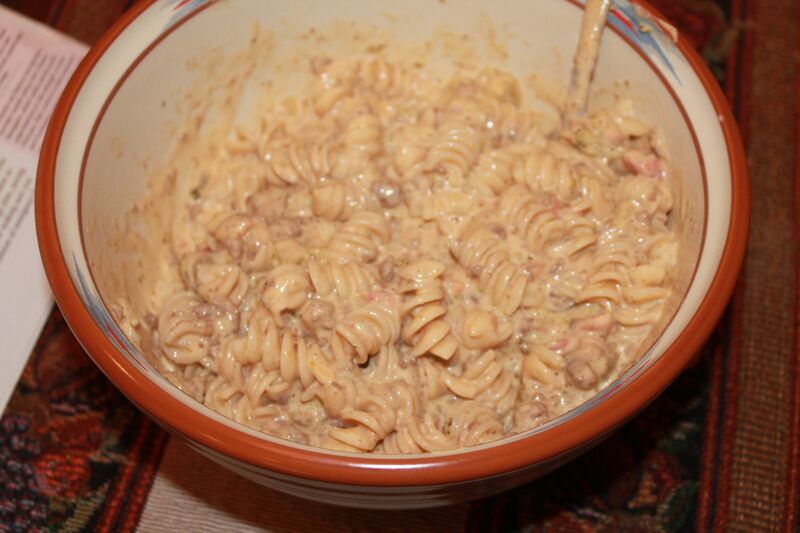 Combine mixture with venison and macaroni in a large buttered casserole dish. Sprinkle seasoned bread crumbs over casserole and cook at 350° F for 30 minutes or until golden brown. I went out with a group of friends today for Dining Out for Life. This year had 67 restaurants in the Greater New Orleans area that donated 25% of the day’s proceeds to the NO/AIDS Taskforce. We went to Meauxbar Bistro and it was a very good choice. A small place with an incredibly diverse menu. I had the gazpacho to start and it was one of the best I’ve ever had–perfectly seasoned and a lovely consistency. I followed that up with their version of Mac and Cheese–Gruyere cheese, truffle oil and a major yum. I exchanged bites of mine with my friends to enjoy the Drum cooked in parchment with curry and coconut milk and the rabbit fricassee. Both were very good with well balanced flavors. I ended the meal with their lemon tart and it was refreshing and delicious. I definitely would recommend a trip to this bistro. The waitstaff was well informed and attentive, the cocktails were generous, the menu was diverse and the food marvelous.